Ativan (Lorazepam) is a common prescription drug used to treat anxiety and panic disorders. Doctors prescribe Ativan for short periods of time because the body can become dependent on the drug after just a few weeks of use. Once this happens, the user needs the drug in their system to avoid unbearable withdrawal. Due to the prescription status of the drug, many users think it’s completely safe, placing it in a separate category from other drugs like heroin or cocaine. However, this drug is highly addictive and long-term abuse can bring permanent side-effects. Here, we’ll discuss how Ativan is used, what makes it addictive, and what you can do if you or somebody you love is addicted to Ativan. Ativan is the brand name for the benzodiazepine anti-anxiety and anti-insomnia drug, Lorazepam. There are many drugs in the benzodiazepine family, each with slight differences in the amount of time the drug takes to produce its effects on the body and how long these effects last. Ativan, in particular, is one of the longer lasting benzodiazepines, making it suitable for treating conditions such as insomnia, seizure disorders, alcohol withdrawal symptoms, and chemotherapy-induced nausea. Some doctors will use Ativan to interfere with memory formation during surgery to prevent patients from waking up with any lasting trauma from gruesome surgical procedures. Ativan was one of the first benzodiazepines developed — invented in 1963. It took roughly 14 years for the drug to move from development to the consumer market. In 2016, the drug made its way onto the WHO list of Essential Medicines — A list of the most effective and safe medications every health system should have access to . Ativan is heralded as an excellent treatment option for panic disorders and anxiety—this statement doesn’t come without caveats. The FDA advises against the use of Ativan and other benzodiazepines for longer than four weeks at a time . 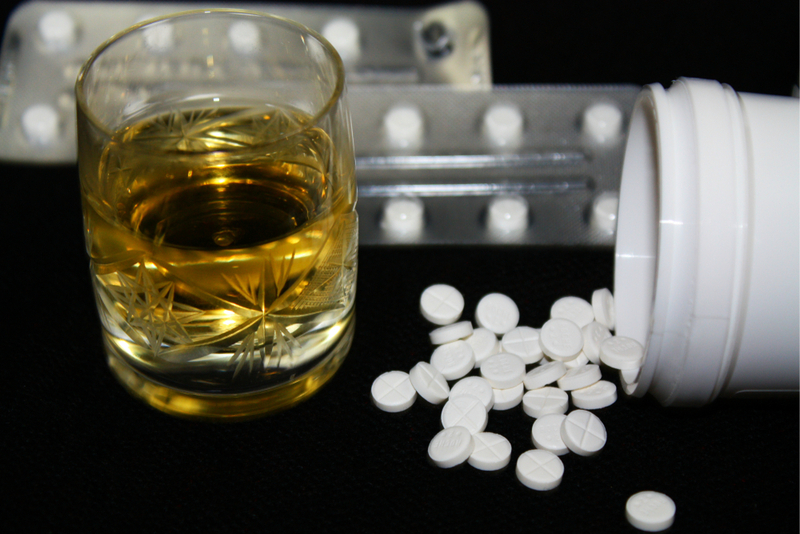 All benzodiazepines will eventually cause dependence, withdrawal, and addiction. The safest way to use Ativan is in short durations only to treat acute anxiety, insomnia, alcohol withdrawal, or chemotherapy-induced nausea. Its use longer than four weeks brings a significant risk of addiction — the recovery of which can be very uncomfortable. All benzodiazepines work the same way — they bind to the GABA receptors in the central nervous system. Rather than activating these receptors itself, it makes naturally-occurring GABA more effective. GABA is our primary neuroinhibitor — it quiets the brain and helps us relax. When we’re experiencing symptoms of insomnia or anxiety, our brain is unable to quiet itself down effectively. By boosting this system with a benzodiazepine, we can achieve the level of neurological suppression we need to avoid anxiety attacks and get to sleep. There are many different benzodiazepine options, most of which are very similar in their characteristics. Ativan is a useful drug for treating hyperexcitability in the central nervous system — in the short term, that is. Long-term use isn’t quite the same. Ativan can cause significant side-effects with long-term use as the body loses its ability to control neurological excitability. Eventually, the brain forgets how to settle down on its own, causing nearly constant and debilitating episodes of anxiety whenever the effects of the drug start to wear off. Recreational users who don’t have anxiety or insomnia will develop these symptoms with sooner or later when using Ativan. These effects are the direct result of withdrawal syndrome produced by the medication. Other issues with Ativan often revolve around its effects on memory formation. Ativan can inhibit the formation of new memories, giving people significant lapses in memory alongside regular use of the drug. All benzodiazepines do this to some extent, but Ativan has been shown to be one of the worst for causing this effect — affecting both explicit and implicit long-term memory . It can take several weeks or months for the cognitive impairment caused by Ativan to go away once drug use is ceased. Ativan can also cause what’s called paradoxical effects. This involves effects that are opposite to what’s expected. For example, Ativan may lead to a worsening of seizures, excitability, and stimulation — some of the main symptoms the drug is used to treat. Ativan is rarely instantly addictive. Instead, addiction develops gradually over the course of a few weeks of regular Ativan use. Initially, the effects of the drug are beneficial, alleviating side-effects of insomnia, anxiety, panic disorder, and seizure disorders. Day by day, as the drug is repeated, the body starts to adapt to the changes Ativan produces within the body. The body always wants to maintain an even level of neurotransmitter activity in the brain. When the effects of GABA are boosted by Ativan, the body’s response is to either hide the GABA receptors or manufacture less of this important neurotransmitter. This makes the effects of the Ativan less potent, forcing the user to take more of the drug to receive the same level of effects. As the dose increases, the body continues modifying the activity of GABA in the brain as it tries to keep everything in balance. Eventually, we reach a point where we now rely on the Ativan to keep the brain from going into overdrive. We can no longer produce enough GABA to prevent severe anxiety attacks on its own. If the effects of the drug wears off, the mind immediately starts to go out of control — producing symptoms of hyperactivity including anxiety, headaches, and even seizures. This is where addiction to Ativan arises. Users need to keep taking the drug to prevent the onset of severe withdrawal symptoms. Ativan withdrawal develops when the body becomes dependant on the effects of the drug as the drug is cleared from the system. Changes to the GABA receptors in the brain make the body require regular interaction with Ativan to maintain equilibrium in the brain. As soon as the drugs are gone, the brain can no longer regulate its own overstimulation — producing the very symptoms the drug was intended to treat. 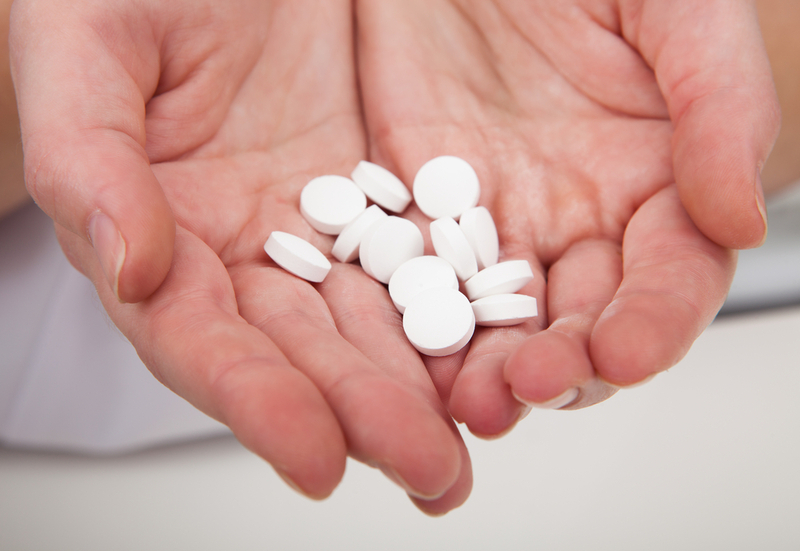 Withdrawal symptoms can start to appear in as little as one week of Ativan use. Although Ativan is not likely to cause an overdose, it’s not impossible. The most common cause of overdose comes from mixing Ativan with other drugs such as heroin, fentanyl, or alcohol. The signs and symptoms of an Ativan overdose can be hard to identify because they often resemble the normal effects of the drug. Mental confusion, sedation, low blood pressure, and lapses in memory are all common signs of an overdose — but it can also occur as side-effects of normal drug use. 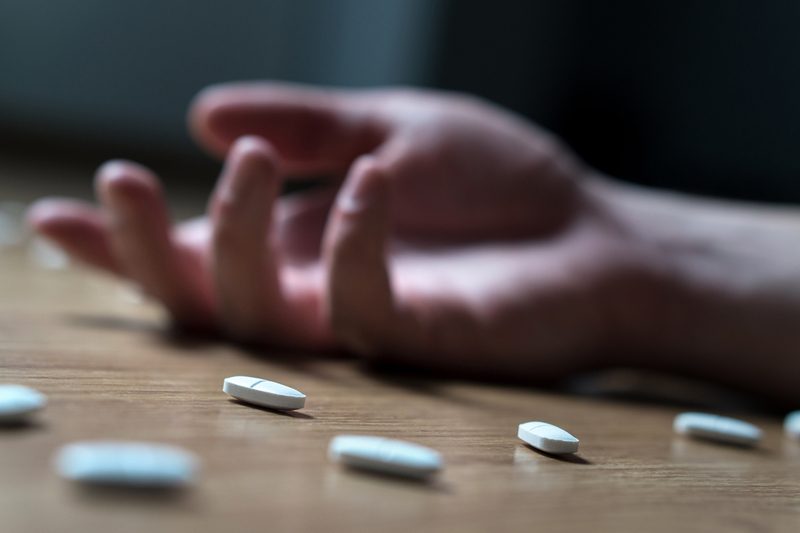 Ativan overdose can be fatal if medical attention isn’t administered. Treatment usually involves pumping the stomach to stop any more Ativan from entering the bloodstream. Flumazenil is a drug used to stop the effects of GABA in the hopes of stopping the overdose. If you find someone overdosing on Ativan, call emergency services immediately. Unfortunately, there isn’t much you can do to help them until medical professionals arrive with access to lifesaving medications and life-support. Monitor their breathing, and place them into the recovery position to prevent them from choking on their own vomit, and keep the airway as clear as possible. You may also administer CPR if the heart stops or breathing drops to less than 4 breaths per minute. Ativan is a common prescription medication for anxiety and insomnia. It’s addictive over time, leading to serious side-effects, and has a high potential of abuse. Withdrawals on Ativan are notoriously uncomfortable and can make it nearly impossible to quit taking the medication without professional help. Rehabilitation centers are a great option for anybody addicted to Ativan because they help the user develop tools to stop their urges, and help them get through the uncomfortable detox stages. With discipline and supportive care from experienced clinicians, Ativan addictions can be treated. Many ex-users return to a normal, productive life free from addiction after attending rehab. World Health Organization. (2015). The Selection and Use of Essential Medicines: Report of the WHO Expert Committee, 2015 (including the 19th WHO Model List of Essential Medicines and the 5th WHO Model List of Essential Medicines for Children) (No. 994). World Health Organization. Lader, M. (1984). Short-term versus long-term benzodiazepine therapy. Current medical research and opinion, 8(sup4), 120-126. Bishop, K. I., & Curran, H. V. (1995). Psychopharmacological analysis of implicit and explicit memory: a study with lorazepam and the benzodiazepine antagonist flumazenil. Psychopharmacology, 121(2), 267-278.